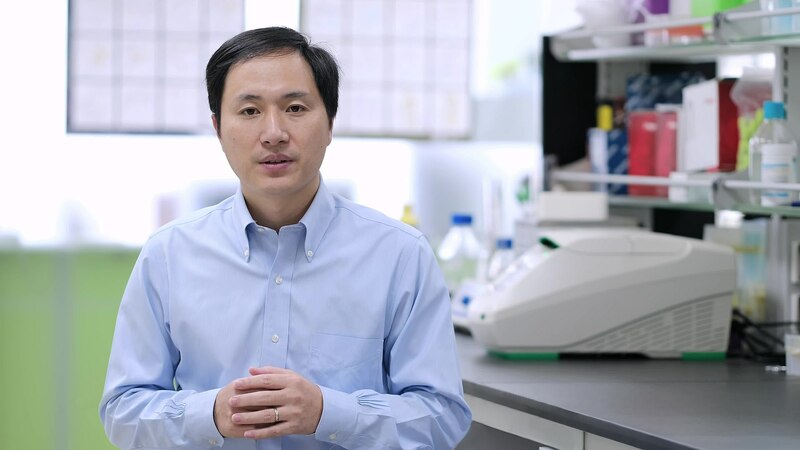 It has just been reported the Chinese scientist who claimed to have used gene-editing to create the world’s first genetically modified babies “deliberately evaded oversight” in a quest for fame and fortune, according to a Chinese government report. An investigation set up by the Health Commission of China also found the scientist raised funds himself, privately organised a team of people and forged ethical papers to enlist volunteers for the procedure. You can read the full Reuters report below. The response to reckless human experimentation has to go way beyond Dr He's dismissal. This is not merely a failure of compliance, Dr He failed to grasp the ethical principles and concepts he was vigorously espousing. There will undoubtedly be more guidelines and laws on gene editing but we also need basic education of the next generation of scientists in what ethics is and why this kind of behaviour is wrong. This was not a failure of science, or even regulation, but ethics. More important than He's fate is the future for those victims affected. The couples and babies will need world class medical management and counselling. The second couple carrying a gene edited pregnancy should have already been fully informed of and understood the risks to their fetus and given the free choice to continue or terminate their pregnancy. This is a straightforward criminal matter and should be treated as such. The only problem is that the consequences of this act will be inherited by the children of those whose DNA was altered and their children. It is even possible that these mutated genes will form part of our contribution to the genetic makeup of generations to come. The consequences may be catastrophic. The only way to stop this is to monitor the future fertility of those treated. The other issue is that there may be health consequences for the children thus treated. Their needs to be closely monitored. Critical to this investigation has been the deliberate and calculated action by the recognised scientist to avoid scrutiny of a research ethics board that has oversight over genetic and health and medical research. The evidence against the scientist demonstrates a premeditated act to circumvent due process in an academic institution. We are at an inflection point in history- to forge on with limitless genetic discovery with unforeseen consequences or to comprehend what it means to be human and humane. We need commensurate safeguards in industry to ensure ethics boards hold research that is privately funded to the same scrutiny as University research. And this is a much more difficult objective to attain. The use of gene editing to alter the human germline without a clear medical need or careful weighing of the significant risks involved was a deeply disturbing application of powerful and promising technology, and apparently done largely for fame and fortune of the scientists(s) involved. They have not only placed the health of these babies at risk without a clear medical need, but also placed a cloud over this technology that will likely hinder its justifiable, ethical and responsible use in many other areas of real need, where it holds significant promise. The preliminary findings reported here indicate that the scientists were deliberately operating outside ethical and regulatory boundaries, which most responsible scientists will find deeply troubling. It is really encouraging to see swift action by Chinese authorities and sends a clear statement of zero tolerance for this reckless and dangerous behaviour. Gene editing has great potential, but as soon as this story broke last November, the experiment appeared to be a poorly designed and regrettable effort to win a 'race' and grab attention. This latest report confirms what was feared. However, there is a place for responsible gene editing, in health and in other domains such as agriculture. It is crucial that we openly engage with the general public so that everyone can understand more about the technology and contribute to discussions on which applications would be acceptable and which ones should stay off limits. Ethical guidelines are put in place to protect the public, prevent exploitation of vulnerable population, and maintain integrity of the scientific community and institutions. We do need to push Scientific boundaries to advance humanity, but within the boundaries of ethical guidelines. We still don’t know how safe the gene-editing technology CRISPR-Cas9 is. The presumption that this technology can be used to fight against HIV, demonstrates a lack of understanding of the challenges and tools we need to combat the epidemic. The Tuskegee syphilis experiment between1932-1972 shows us what can go horribly wrong when science evades rigorous ethical oversight.